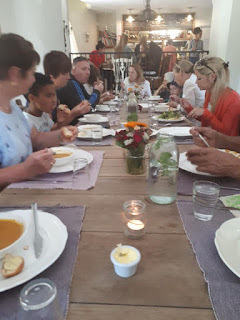 Some Photos from our July event. 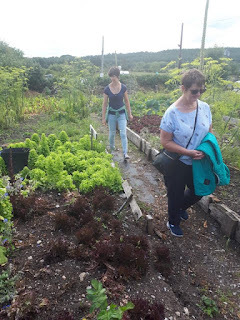 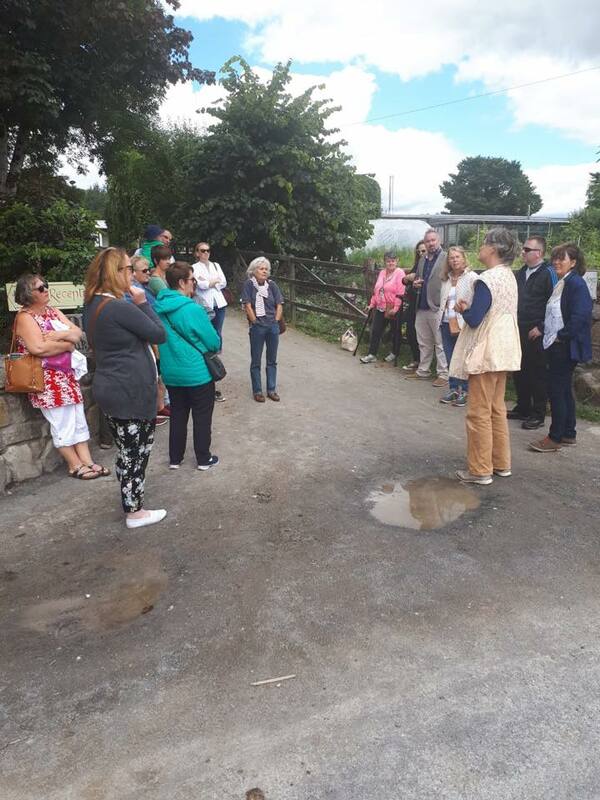 Thank you to Esther in Slieve Aughty Centre where Slow Food Galway gathered last Sunday for a walk through the lovely organic kitchen garden followed by a three course lunch in the Tree Top Restaurant. 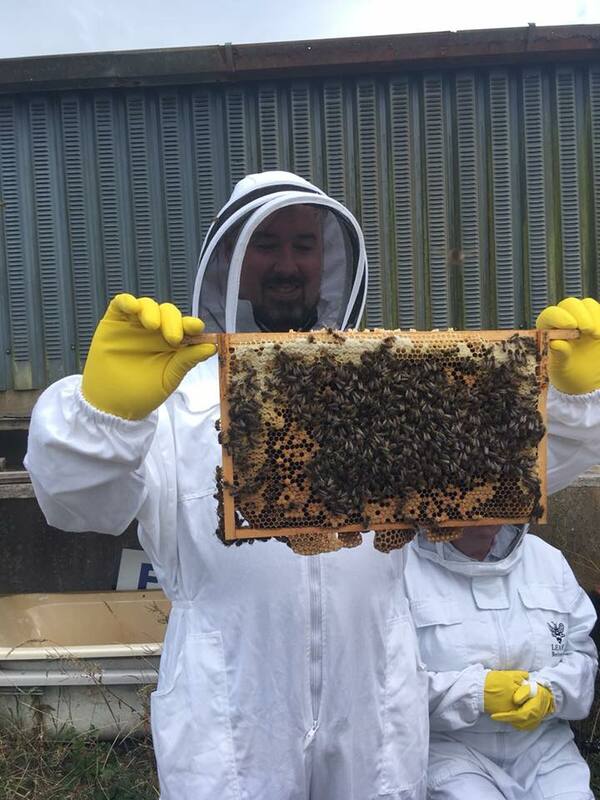 only sourcing organic Irish and European suppliers for the hotel and restaurant, even towels and bed linen! 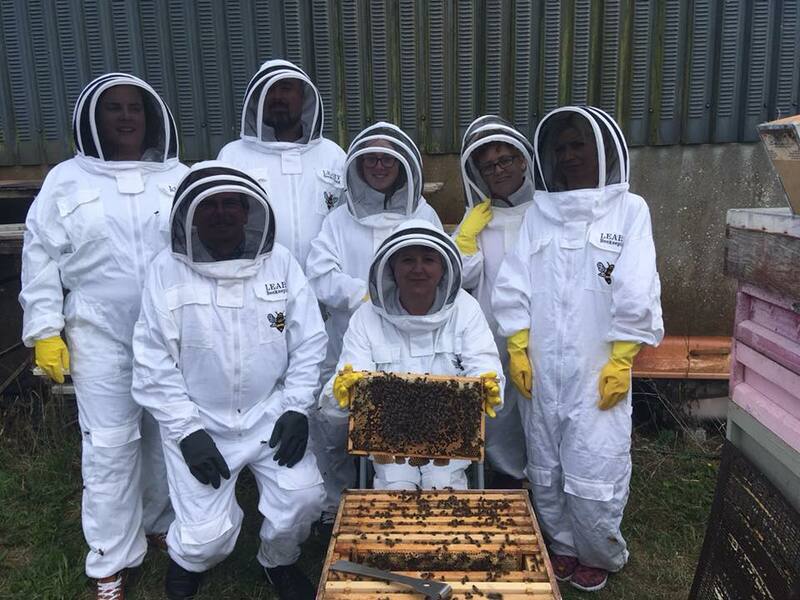 We then moved to Sliabh Aughty Honey & Natural Irish Skincare and donned our "whites". 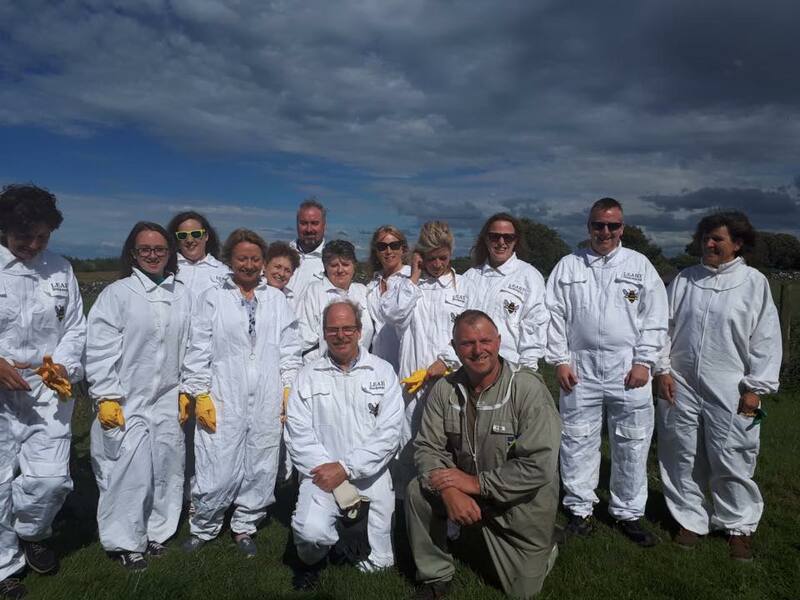 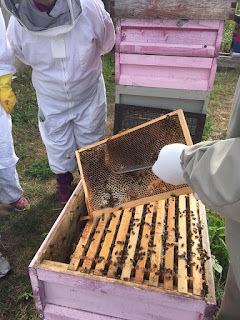 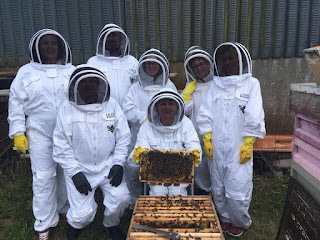 After being double checked by Noel and Heather Leahy we were able to visit the hives and see for ourselves how amazing these small but vital pollinators are. The wonderful raw honey they create is sourced from flowers such as dandelions, white clover and ivy to name a few. Noel explained that this honey is not pasteurized or heated and we got to taste the delicate floral and flavoured honeys. 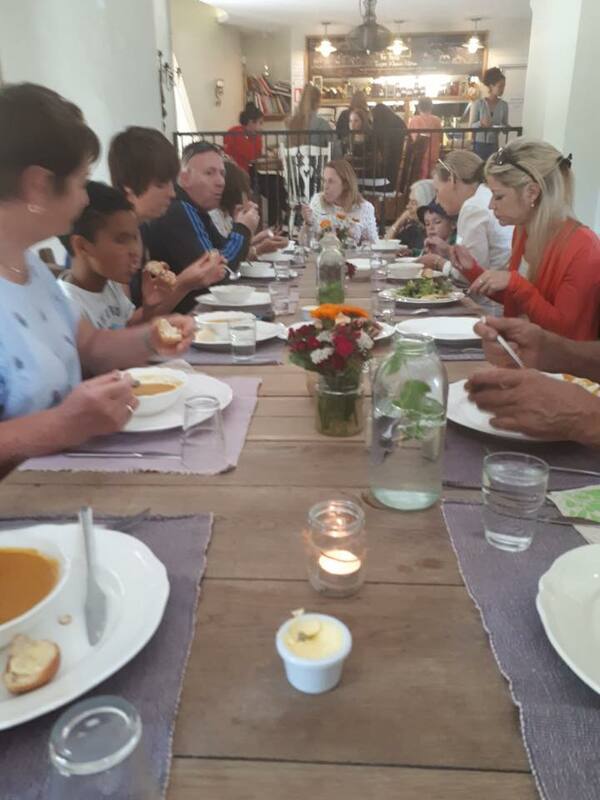 Thank you Noel, Caroline and Heather for your welcome and great hospitality. 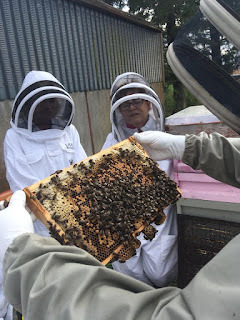 This visit provided us a unique opportunity to see and value why it is important when buying honey that we source from and support local beekeepers like Noel and other Slow Food members who are beekeepers.